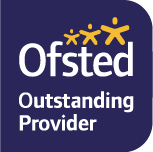 How we get mark making and maths into all areas of play! 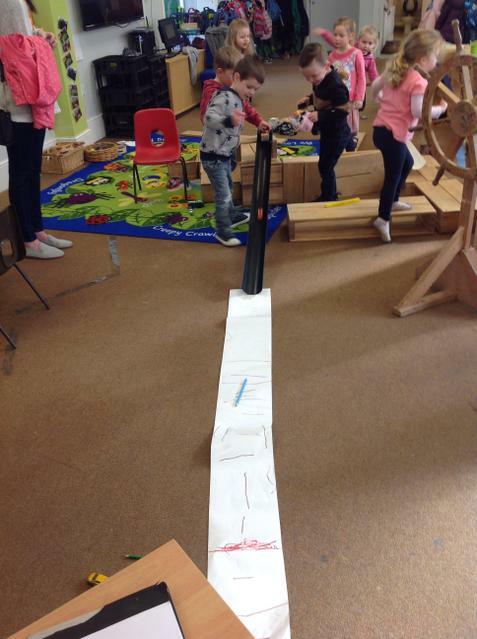 We added paper and guttering to the children's car play and the children explored how fast and far a car would go. 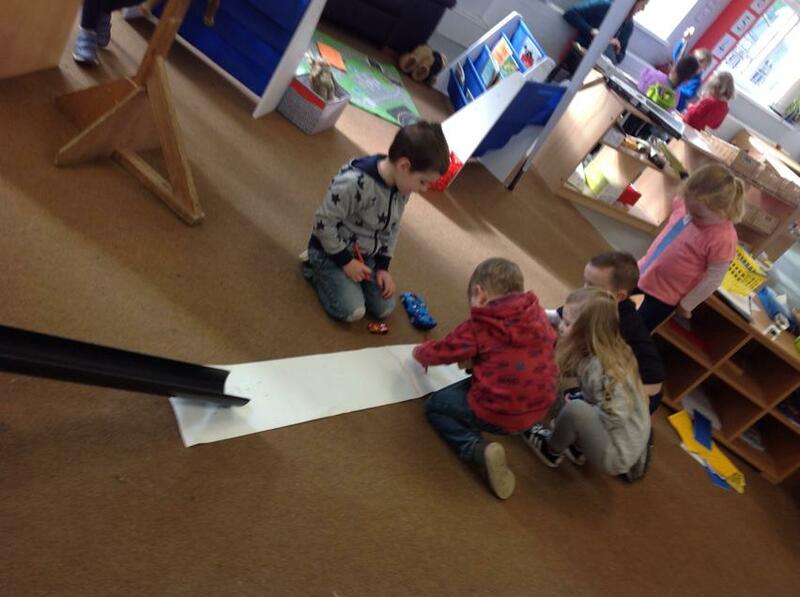 We found out that the cars go faster if the ramp is higher. 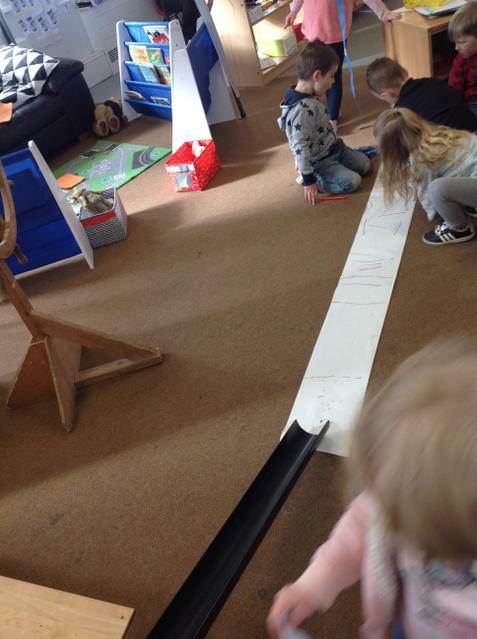 The children also recorded (mark making) where their car stopped and compared distances. 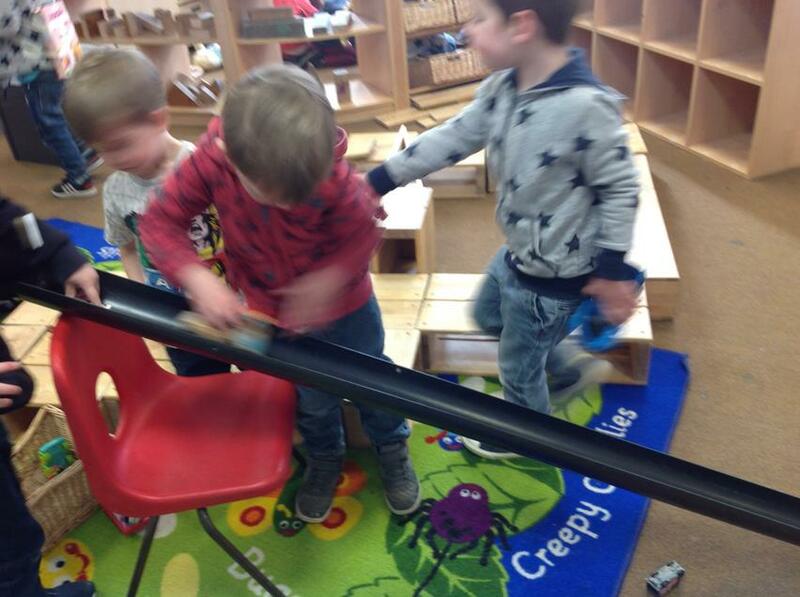 It is amazing how much learning goes on when children play - we love it in Nursery!